Best place to sell textbooks in the UK! Do you have unwanted and old textbooks gathering dust in your house? Would you rather make some space and make some money too? If so, WeBuyBooks can help! Our simple and reliable service gives you a fast way to get cash for your old textbooks and buy something else you would rather have. Let’s face it – we all have some textbooks from school or university days that we no longer need. The problem is that it can seem a hassle to sell them and you may even think you wouldn’t get much money for them. With WeBuyBooks, this is not the case! 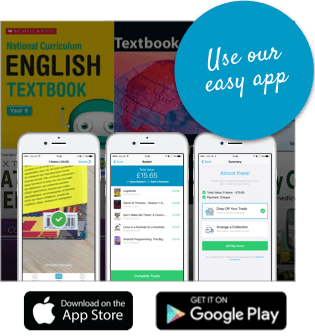 We give UK residents a fast, secure and simple way to get rid of those textbooks cluttering up your room and make some cash from them. Our service is rated as a favourite on MoneySavingExpert.com and our easy to use service is highly rated by customers on TrustPilot too. The idea behind WeBuyBooks is simple – you send us your old textbooks and we pay you an agreed amount of money for them. When we have received and checked it, we pay you the money! As you can see, selling your textbook via our fabulous service is very easy and straightforward. What are you waiting for? 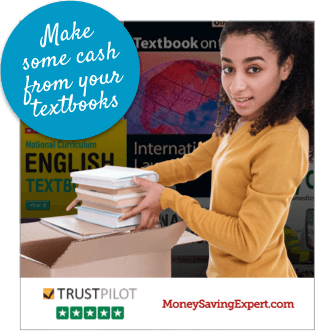 If you have some old and unwanted textbooks that you would like to turn into cash, get scanning the IBSN codes into our website today. We are sure you will love the price we will give you for them and also just how easy it is to use our award-winning UK service.